According to the transactions page on the Raiders official website, the team has waived veteran kicker Dave Rayner. 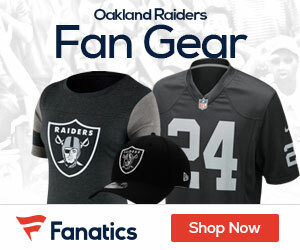 After competing against two other place kickers (Rhys Lloyd and Fabrizio Scaccia), Rayner was signed on Saturday to be an injury replacement for Sebastian Janikowski, who was sidelined with a hamstring injury. The Raiders were shut out on Sunday, so after sending the opening kick 70 yards into the end zone, Rayner was done for the day. Rayner earned $40,294 for that one kick. With the Raiders on their bye this week, they must be confident Janikowski will be healthy upon their return, or that Rayner will still be available if needed, to not spend another $40,000 to keep him around.